Every family member must have a BOB with enough supplies so they can survive at least 72 hours after a disaster scenario. The contents of a BOB may vary depending on the numbers of people in your family and the natural disasters that may occur in your location. Don’t forget to include items for your pets. Cash – Small bills, as much as you can spare. Communication – A crank- or solar-powered NOAA radio, flares, and a whistle. Documents – Such as copies of deeds and titles, insurance policies, birth certificates, and maps. Firestarting kit – Must include storm-proof matches, lighters, and a fire starter. First aid – Contents may vary, but it should have items that will let you handle more serious injuries. Food – Easy to eat food should be non-perishable and with a long shelf life. Light – Battery- or crank-powered flashlights or portable lanterns. Medication – Activated charcoal, digestive aids, or medication for certain conditions like diabetes, etc. Water – At least 1.5 gallons of water per person. BOBs should also be stored properly so the items inside are safe for use or consumption. Below are tips and guidelines for storing BOBs at home or in outdoor locations. Alternatively, you can store the BOBs in your basement. If you want to store your BOBs outdoors, consider portable buildings that can be assembled anywhere in your property such as close to the house or in your garden. Sheds or prefabricated (prefab) buildings are ideal storage areas that could be dedicated only to your BOBs. Setting up separate outdoor storage space for your survival supplies helps to prevent clutter at home. If disaster strikes, gather the whole family then head to the outdoor shed so you can get your gear. If you have a second residence, such as a cabin in the woods, a condo by the seaside, or a townhouse, you may want to set up a second set of BOBs for the family. You can opt to store the same things in your bags at home, or you can add supplies specific to the threats and conditions that may affect your second residence. Alternatively, you can store BOBs in the garage. If you don’t own a second property, you can also store BOBs in your work desk or under it. This way, you still have access to the basics during emergencies. Inspect your survival supplies at least once a month, then make sure they’re stored properly and are not exposed directly to sunlight. Keep track of the expiry dates of foods, drinks, first-aid provisions, and medications so they’re still safe for use, then replenish then if you have to. Schedule regular visual inspections of your storage area so you can keep it free from mold and pest infestations. If you own a portable generator, perform regular maintenance to ensure maximum performance. Start your portable generator every 30 days so it always runs smoothly. Survival tools and equipment must also be inspected, maintained, and stored securely. Get your BOBs ready, then store them somewhere safe and inspect the contents regularly. 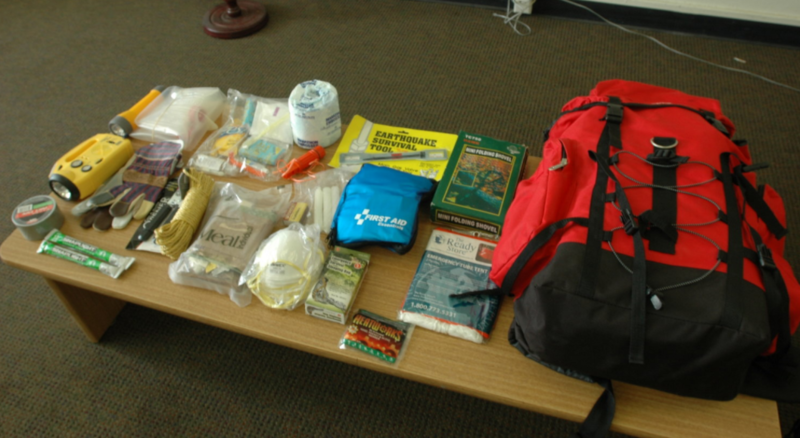 Emergency preparedness gives you a fighting chance when SHTF.